Experience the sights, sounds and history of multi-cultural Toronto at your speed, on your time. Your ticket on the Toronto City Hop-on Hop-off Tour allows you to see the city with professional drivers and commentary, all the while giving you the complete flexibility to visit some of Toronto's sights, major attractions, shopping areas or unique cultural districts. The Toronto City Hop-on Hop-off Tour runs in a continuous circle from 9:00am until 4:00pm with many stops near major hotels in the downtown area. 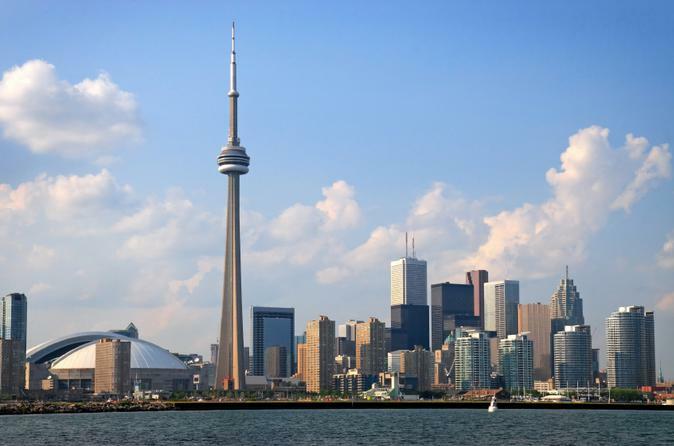 Your ticket is valid for two touring days which gives you ample time to explore the many attractions Toronto has to offer such as the CN Tower or Casa Loma.